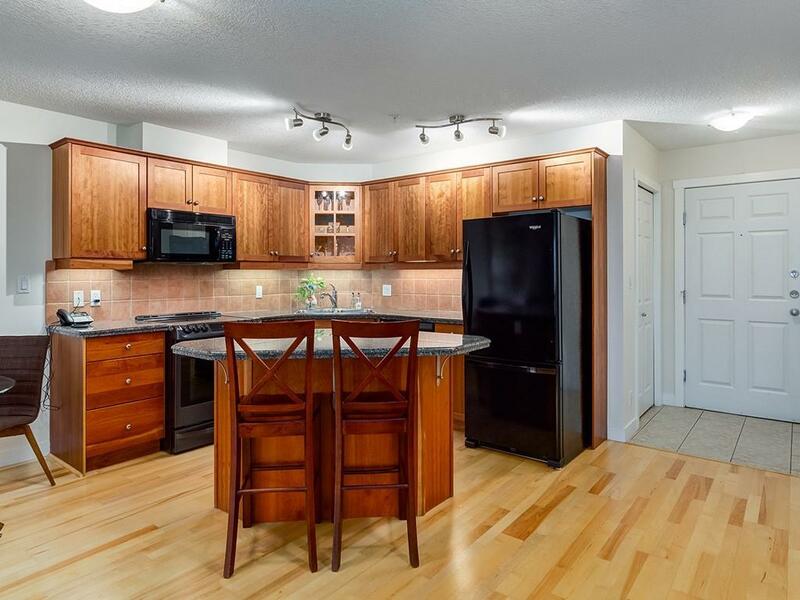 What a great location, and excellent value for this 1 bedroom + den condo in Kensington! Across the street from Riley Park, this second level unit provides great park views and a spacious balcony to enjoy the west sun. Perfect design with an open concept living room that features a corner gas burning fireplace, a comfortable sitting area and a comfortable breakfast bar island. 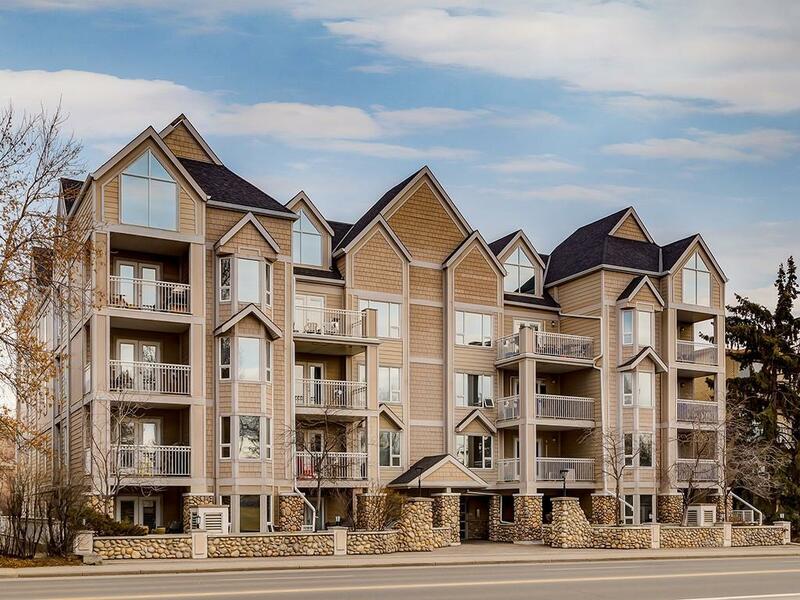 With granite counters, stained maple cabinets, hardwood floors and attractive finishings that suit the timeless transitional flavour of this established complex. 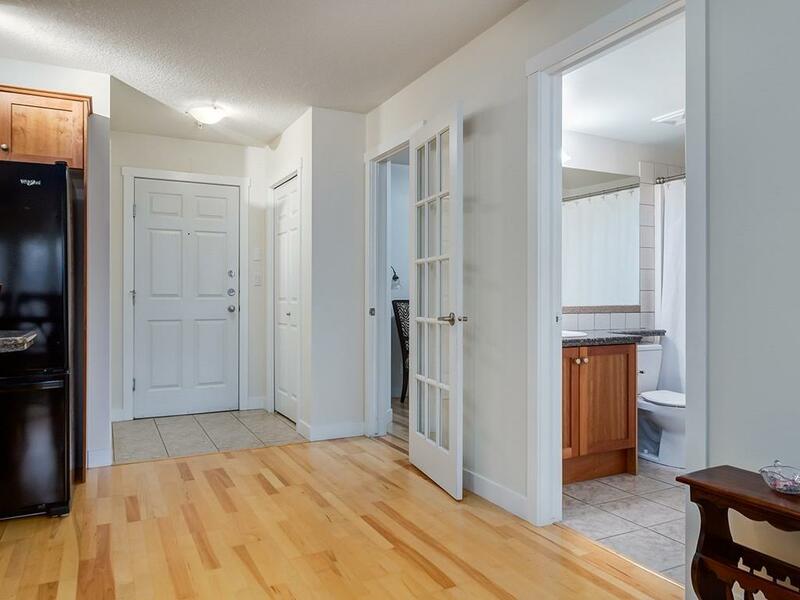 With a full bathroom, in-suite laundry, a private study or possible flex/guest space and 1 bedroom. This unit includes titles parking and a storage locker. 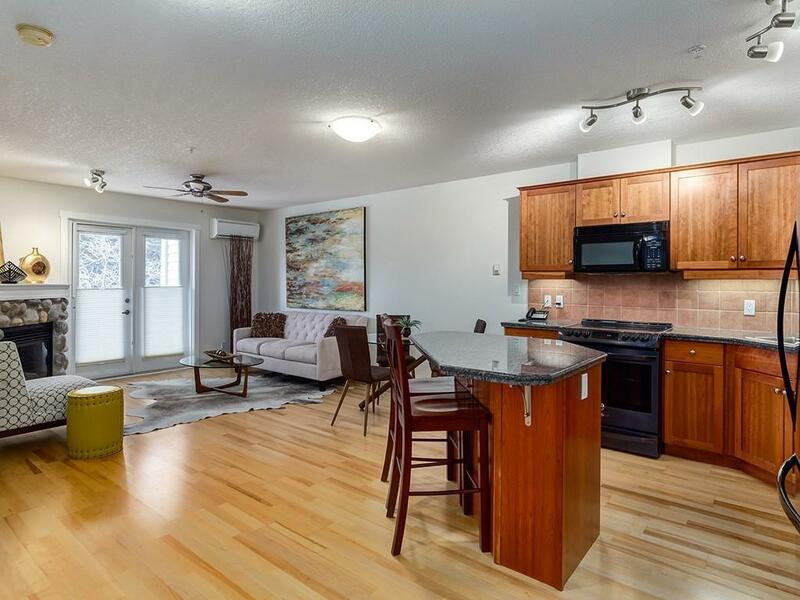 Don't just "walk to Kensington", LIVE in Kensington... a short stroll to LRT, Safeway and Sunnyside Market and the many cafes, and coffee houses of this walkers paradise.